In a bowl mix the flour, grated carrots and salt. Make a well at the centre and add warm water in bits kneading the flour in a medium soft dough. Wrap the dough in cling film or cover using a damp kitchen cloth and leave to rest for about 30 minutes. Cut a portion of the dough and roll out. Apply oil on the rolled out dough and cut into strips. Fold each strip into layers to form a ball. Each ball makes one chapati. Roll out the balls into round shapes (chapatis) ready to cook. 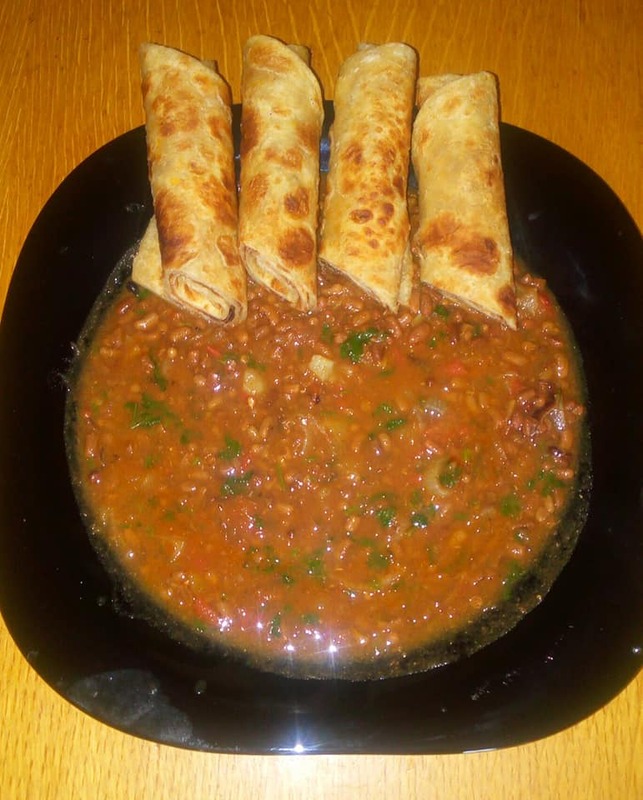 Place each chapati on a hot pan and cook under medium heat till it is evenly cooked and golden brown.